Another, more important reason is that neither religions nor sciences are static.† Both have long histories.† Modern Judaism in the North America, for example, is very different than medieval Judaism in France, which is very different from ancient Judaism in the Roman Empire. 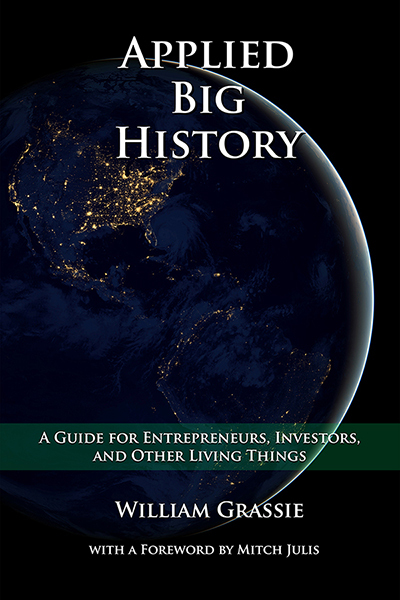 Different times and/or different places have produced different kinds of Judaism.† The same can be said for Christianity and Islam, and I suspect that the same could be said for Buddhism and Hinduism.† Similarly, modern Astronomy in North America, for example, is very different than medieval Astronomy in France, which is very different from ancient Astronomy in the Roman Empire, and the same could be said about Physics, Psychology, and Chemistry.† Hence, both the sciences and religious faith communities all have histories, and understanding those histories is critical to understanding the sciences and religions.† No statement of what they are is sufficient to understand them, for what they are today is not what they were yesterday, it is not what they will be tomorrow, and our only hope for some reasonable insight into what they are becoming in the future is to see how they became what they are now from what they were before. 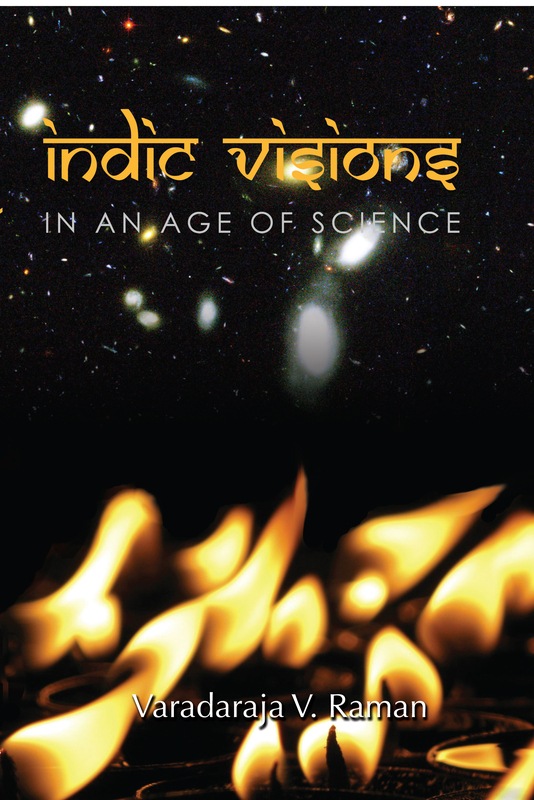 It is against this historical background that we must use the four ways ñ proposed by Ian Barbour in his published Gifford lectures, Religion in an Age of Science3† ñ to discuss relations between science and religion.4† The four are ìconflictî, ìindependenceî, ìdialogueî, and ìintegration.î† As Barbour discusses them, both ìscientific materialismî in modern science and ìbiblical literalismî in Christianity are examples of the conflict model.† Barbourís examples of ìdialogueî involve discussions between the sciences and the religions of mutual presuppositions and limit questions about each domain. The Third of Barbourís four ways is ìindependenceî, which is appealed to almost continuously by writers going as far back as Immanuel Kant and even earlier to the late medieval Christian Averroeists who defended the then heretical ìdouble-truth theoryî that isolated scientific and religious truth claims into two separate domains.5† Two is ìintegrationî, where scientific and religious claims are integrated into a distinct third kind of claim.† In this case Barbour cites what he calls ìnatural theologyî of the sort that dominated discussions of the physical sciences in the 17th century (e.g., by Isaac Newton) and pre-Darwin discussions of biology and geology in the 19th century (e.g., by William Paley). We should note that Barbourís schema has been criticized by scholars in the field.† The most notable example is John Hedley Brookeís now classic Science and Religion: Some Historical Perspectives.6 †Brookeís primary objection to Barbourís ìwaysî is that he sees them as independent of each other, as if one writer can be treated as following one way to the exclusion of the other three ways, while a second writer follows another way again to the exclusion of the other three.† In fact, all major figures in the history of the discussion of science and religion use all four ways without any clear separation.† In everything that they say, these four ways can be discerned.† However, they never (or at least rarely) occur in use independent of each other. 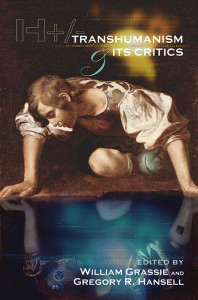 Brookeís book can be read as a refutation of Barbourís thesis of independence through a general intellectual history of the relationships between the sciences and religions in the history of Western Christian civilization7† What Brooke succeeds in presenting is a justifiable major modification of Barbourís discipline-defining thesis. What I intend to do in the body of this essay is to present three distinct but related examples that support Barbourís four ways as corrected by the historical insights of Brooke.† The three cases involve (1) the Bishop of Paris in the 13th century with ìAristotelianismî, (2) 16th century European humanists with Greek ìScepticismî, and (3) the development of modern ìatomic materialismî from the ìConstructive Scepticismî by Mersenne and Gassendi in the 17th century.† All three examples address the historical causes of what motivates many contemporary intellectuals in Christian and Post-Christian western civilization to favor either an exclusively conflict or independence understanding of the ideal relationship between religions and sciences to the exclusion of dialogical and integrationist models. On March 1277, Stephen Tempier, Bishop of Paris published a list of 219 Propositions, attributed to the Aristotelians, as heresies.† His target was what professors of philosophy and theology at the University of Paris and other ìChristianî (i.e., Roman Catholic) Western European universities were teaching as natural philosophy in the light of the recent Latin translation of 10th through 12th century writings by Muslim and Jewish philosophers and theologians in North Africa and Southern Spain.† The bishopís fear was that pagan, Muslim and Jewish heretical ideas were being introduced into Christian philosophical training by professors such as Siger de Brabant, Boethius of Dacia, and even followers of Thomas Aquinas such as Henry of Ghent, Godfrey of Fontaines, Giles of Rome, and Saint Bonaventure. Natural philosophers of the 13th century were committed to an Aristotelian understanding of the nature of reality, and according to this understanding space and time are conceptions derivative from the motion of objects in space.† Space is a measurement of the distance between physical objects and time is a measurement of the rate of change of spatial separation.† Hence, space and time are not entities; rather they are measurements of relations between entities, and as such they have no reality independent of the entities they measure. †Consequently the question, could God have located the universe somewhere else in space than where he located it, is logically unintelligible.† The space and time of the universe is not where the universe is ontologically.† In terms of what exists there are only the objects and the time and space are only their measurement.† In other words, to move the universe to some place else would not be some place else. The theological ruling against the generally accepted claim of the cosmologists at the University of Paris by a non-scientist institutional Church bureaucrat is as significant a causal factor in changing the way that modern science thinks about the universe as are any particular problems in the old science itself. 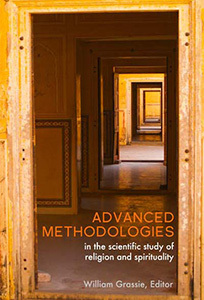 To be sure there were good scientific and philosophical reasons for seeking an alternative to the prevailing Aristotelian model for understanding the philosophical world, especially in physics and astronomy.† However, academics being the timid people that they are (and especially given their general conservatism and reluctance to radically change their established curricula), changes in subjects such as physics would have been introduced into the academy very slowly if at all.† (New text books would need to be written and, even more important, university professors would need to learn new things to teach. )† Here, however, in the 13th century, the natural philosophers of Paris were forced over night to introduce a new non-Aristotelian way to understand the universe, a way in which time and space are not understand to exist relative to physical objects, but instead, so to speak, to exist in themselves as entities no less entities than the entities that occupy them.† The answer was to employ the recently rediscovered science of the ancient Greek and Roman stoics, epicureans, and (most importantly) skeptics in redefining the way that natural philosophy views the universe. Before we move on to consider the revival of scepticism, letís first apply Barbourís categories to understanding the case of Stephen Tempierís administrative imposition into university of questions of pure science.† In this case the participants from ìscienceî are the faculty in natural philosophy at the University of Paris and the participant from ìreligionî is the bishop.† However, we can already see how structuring our story in this way distorts it.† Just where in 13th century Paris does ìscienceî end and ìchurchî begin?† The university is run by the church because if not for the church there would be no university, and the church runs the university because it believes that natural knowledge is one very significant way to worship God.† In this context doing science is understood to be an inherently religious activity. So, from this perspective, is Stephen Tempierís assertion of curricular control of the faculty at the University of Paris a case of conflict or dialogue?† Clearly the answer is both.† It is conflict because the bishop is telling the scientists strictly on the grounds of Church tradition what they may and may not teach about the physical world, and what the faculty thinks is true of the physical world, based on the then accepted scientific authority of the Aristotelians, cannot on the grounds of religious authority be taught.† However, this is also an example of dialogue.† In a sense the bishop is telling the academics not what they should teach but what are the limits on the domain of what is and is not teachable.† In a word, they are obliged to teach the truth, there are traditions that are judged authoritative for making truth judgments, and while some of these traditional authorities have their origins in the empires of Greek and Roman heathens, other traditional authorities have their origins in the recorded words of the Holy Scriptures and the church fathers.† Note that in this case the authority for progress in the history of science is the bishopís invocation of the tradition of the church, while the regressive conservative authority is the general reliance of the members of the Christian academy on inherited manuscripts whose transmission is from earlier natural philosophers who were pagan, muslim, and Jewish.† In this respect the debate involves independence, for it is the business of the philosophers and not the church administrators to sort out a correct answer to the problem.† Yet the solution is also a question of integration, since any solution that will ultimately be acceptable to both the academics and the administrators of the University of Paris will be some schema that encompasses theological demands such as no limitations of any sort on Godís power and is intelligible in the light of both the accepted authoritative texts in past heretical (Plato, Aristotle, Avicenna, Averroes, Maimonides and Gersonides) and more recent pious (Thomas Aquinas and Bonaventure) natural philosophy. Philosophical scepticism at the time of Platoís Academy was passed on to the school of Pyrrhonian sceptics, who were attached to one of the schools of medicine in Alexandria in the 1st century BCE.† The founders of this school of philosophy were Pyrrho of Elis and his student Timon (3rd BCE), whose views were articulated by Aenesidemus (1st BCE) and recorded by Sextus Empiricus (around 200 CE).† These writings were (to my knowledge) unknown to medieval Muslims and Jews.† Rather, they are discovered, edited, translated into Latin, and published by Christian academics in the 16th century.† More specifically, it was Erasmus of Rotterdam, as recorded in his De Libero Arbitrio (1524), who rediscovered Sextus Empiricus.† The reports by Sextus of the arguments of the Roman Sceptics were studied by university scholars and used by Roman Catholic learned officials to formulate distinctive rebuttals of the challenge by Martin Luther and his Protestant disciples to the authority of Church tradition in legislating religious dogma.† More specifically, Erasmusí academic interest in Sextus and Roman Scepticism is transmitted to church theologians and university academics, notably Michel de Montaigne, Marin Mersenne, and Pierre (Petrus) Gassendi. Briefly, the interest of the church in ancient scepticism was the following:† The sceptics had argued convincingly for many intellectuals in pagan Rome that preceded the rise of Christianity that the only thing that a human being can know is that he cannot know anything.† Christianity, so it was reasoned, changed the situation.† The Sceptics assumed a world without divine revelation and without a divinely inspired tradition for interpreting that revelation.† In such a world there is nothing that a human being can know.† But that is not the situation of the educated Roman Catholic who, guided by divine revelation and (more importantly) by established church intellectual tradition, can transcend the epistemic limits imposed by the Sceptics.† However, Luther and his fellow Protestants cannot enjoy this liberation, for they insist on the sole authority of Scripture devoid of the aid of authentic religious tradition.† It is precisely in this context that church philosophers had use of the arguments of the Sceptics, viz. to demonstrate against the Protestants that it is not possible to have any kind of positive knowledge without affirming a true and reliable epistemic chain of tradition. So far all of the cases discussed involve internal Christian disputes.† I have focused on Christianity, especially Roman Catholicism.† In this final example I want to broaden the presentation of science and religion beyond Christianity to include Judaism as well.† This final example deals with how the early modern dialogue between Judaism, Christianity, and science leads historically to the modern philosophical orientation of most contemporary scientists. Two early 17th century Jesuit priests, Marin Mersenne and Pierre (Petrus) Gassendi, are generally regarded to be the first theoreticians of a modern mechanistic model to replace the pre-modern Aristotelian model for doing science.† They constructed what they called a ìconstructive scepticismî that built on Greco-Roman scepticism under the influence of both Christian Kabala and Rosicrucian theosophy12 to form what served as the foundation for modern ìatomic materialism,î through its influence on both Leibniz and Newton13, that became by the end of the 19th century the dominant ontological and epistemological paradigm in all of the contemporary physical sciences.† For our purposes here in this final section early modern mechanical philosophy is one link in a causal chain in the history of ideas that begins, as discussed above, with internal Christian debates over the epistemic value of institutional religious tradition, passes on into discussions of first premises in Epistemology drawn from Latin translations of Roman reports of the arguments of Greek skeptics that revolutionize, and so radically transform so-called Cartesian modernist empiricist and rationalist philosophy as well as so-called Newtonian modernist physical science from its sources in medieval scholastic so-called Aristotelianism.† This change is generally presented in books on philosophy as independent of religion, but clearly that is a distortion of history.† In a word one major consequence of the Christian crusades was a series of events that led to the integration of Muslim Andalusian philosophy and theology into Christian Spain, the shock of which stimulated the decline of rationalist philosophy among both Muslims and Jews with a renaissance of literary activity by Sufis and Kabbalists in particular that produced the Zohar in the school of Moses de Leon at the end of the 13th century.† The Zohar lies at the core of a series of 12th to 14th century texts around which communities of Jewish mystics focused their semi-secret worship practices as well as their distinctively imaginative interpretations of biblical texts through which they presented a unique materialist yet spiritual picture of the respective related natures of God, humanity, and the universe. Now, if there is any truth whatsoever in the history briefly outlined in the last paragraph,16 just how adequate are Barbourís four ways as a schema to grasp the inter-connected development of modern culture out of the science, religion, politics, and philosophy of medieval Europe? 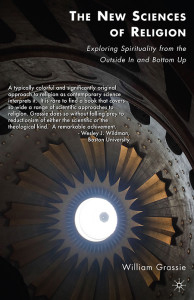 1 Jewish Philosophy and Modern Science: The Death and Rebirth of Jewish Philosophy.† Forthcoming from Rowman and Littlefied. 3 San Francisco: Harper, 1990. 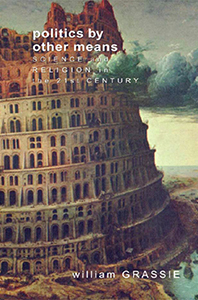 4 Ian G. Barbour.† Religion and Science: Historical and Contemporary Issues. A Revised and Expanded Edition of Religion in an Age of Science.† Part 2, chapter 4, ìFour Ways of Relating Science and Religionî pp. 77-105. 5† Stephan Jay Gouldís ìtwo nonoverlapping magisterialî is a recent example.† It is of some interest to note that Gould seemed not to know that this is a very old claim. 6 Cambridge History of Science Series.† Cambridge:† Cambridge University Press, 1991. 7 The title of Brookeís book is somewhat exaggerated.† He has very little to say about the history of science religion in any religion other than Christianity, in any location other than Christian Western Europe, and at any time prior to the modern period. 8 ìAristotelianismî includes a Roman synthesis of a number of Greek schools of philosophy, not just the one founded by Aristotle, all of which have elements that are not separated out† until the 19th and 20th centuries.† Hence, Aristotelianism is not just the philosophy of Aristotle, but includes the doctrines of the Platonists, the Stoics, the Sceptics, and the Epicureans.† Those notable modernist† philosophers deeply influenced by this late medieval (14th and 15th century) Christian humanist transmission of what presented as ancient philosophy include RenÈ Descartes, Thomas Hobbes, John Locke, Immanuel Kant, Giambattista Vico, Isaac Newton, and G W Leibniz among others. 9 A primary historical source for what follows is Richard H.Popkinís† The History of Scepticism from Erasmus to Spinoza.† Berkeley/Los Angeles/London: University of California Press, 1979. 10 Popkin, ibid., pg. xix. 12 See Richard H. Popkin (ed.) The Columbia History of Western Philosophy.† New York: Columbia University Press, 1998.† Note especially Popkinís introduction to chapter 5 ìSeventeenth Century Philosophyî pp. 329-336.† On the influence of Kabbalah see Allison Coudertís essay ìThe Kabalah Denudataî in Popkin, ibid., pp. 363-366 as well as the more comprehensive work in intellectual history by her teacher Francis Yates that is the foundation for Prof. Courdertís speculations — Yates, Frances A. Giordano Bruno and the Hermetic Tradition. London: Routledge & Kegan Paul, 1964. 13 Although neither was a materialist. 14 See Allison Coudertís ìThe Kabbalah denudataî in R.H. Popkin, op. cit., pp. 363-365, as well as ìThe Kabbala denudate: Converting Jews or Seducing Christians?î in R. H. Popkin and G.M. Weiner (eds.). Christian-Jews and Jewish-Christians.† Dordrecht: Kluwer, 1994. Pp. 73-96. 15 They expected the kingdom of God, but what they got instead were the American and French revolutions, which in turn laid the foundations for the dystopian, post-modernist political responses to utopian liberal humanism in the 20th century. 16 It is granted that the scenario presented here in this third case is far more speculative than the previous two cases, largely because these eschatological heterodox societies ñ especially the societies of Jewish and Christian Kabbalists — were secret, both out of political necessity but also because they believed in principle that no truth worth discovering can be transmitted through direct speech.† See Elliot R. Wolfson, Through a Speculum that Shines: Vision and Imagination in Medieval Jewish Mysticism. Princeton: Princeton University Press, 1994. 17 The key figures in this debate were John Stuart Mill and (most importantly) William Whewell.† See the following two studies of Whewellís philosophy of science:†† Menachem Fisch & Simon Schaffer (eds.). William Whewell: A Composite Portrait. Oxford: Clarendon, 1991 and Richard Yeo. Defining science: William Whewell, natural knowledge, and public debate in early Victorian Britain. Cambridge: Harvard University Press, 1993.